Indulge in elegant British design by Radley. Styled with a stainless steel case and striking half bangle vintage crossover bracelet, this alluring timepiece featuring the iconic Scottie dog as a dangling charm, is perfect for everyday sophistication. 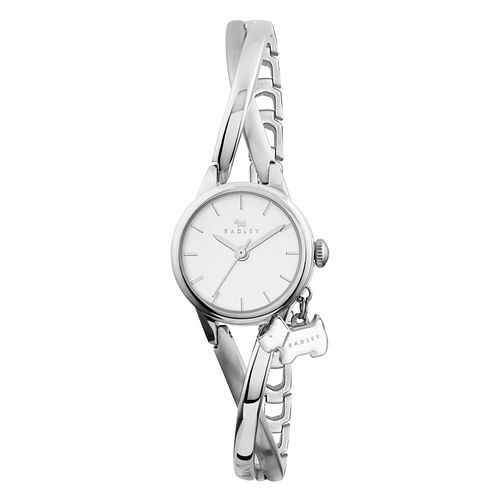 Radley Ladies' Stainless Steel Crossover Half Bangle Watch is rated 4.9 out of 5 by 7. Rated 5 out of 5 by Anonymous from Great Great service, prompt delivery, excellent product.